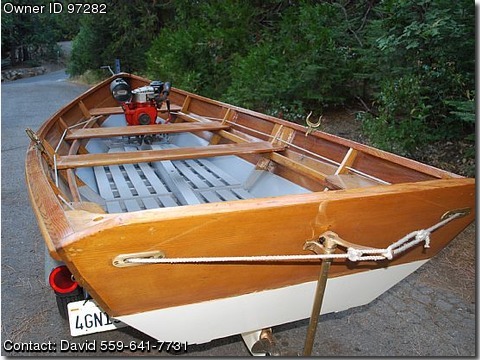 This 1936 Sea Dory was sold by Sears and Roebuck for 47 when new. With two people it goes 7or 8 miles an hour. Being air cooled it does not need to be rinsed out from being in salt water and will run all day on about 2 gallons of gas. The Hull has been completely restored at a Boat shop.